Growing up, did you have wallpaper all over your house? We did. Oh. Knock. Me. Off. My. Feet. Where can you buy wallpaper like this? 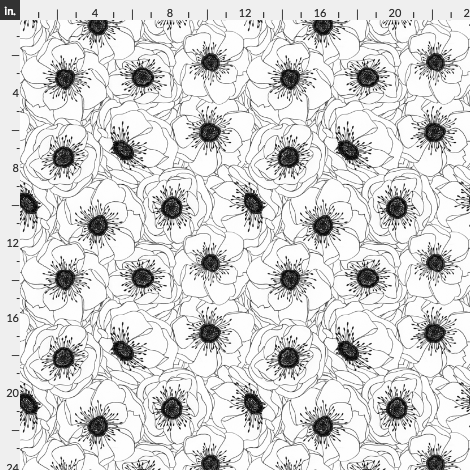 And, though Morgan forbade me to use wallpaper anywhere in The Bold Abode, I just snuck behind his back and ordered several swatches of this really incredible flower wallpaper from Spoonflower. 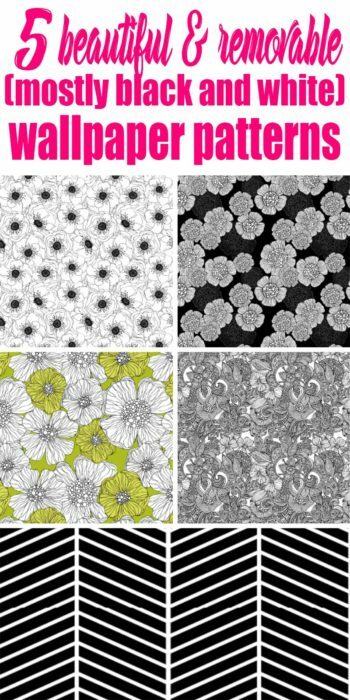 Here are the super cool wallpaper patterns I ordered. Aren’t they just to die for??? And, no… I didn’t just put them all on the same wall… I didn’t put them on a wall at all. I put all of these on my Stairway to Heaven! Plus, I can attest to the fact that they can be removed, because when we staged our house to sell it, the stager suggested that I edit the stairs a bit, so I took the wallpaper off every other stair riser. All I had to do was just wipe it down a little bit and it was good as new! The glue came right off. You can see the updated stairs here in this post! Honestly, I couldn’t believe she didn’t tell me to take it all off! But she loved it after I made the update and the house did sell, so I guess it was a win! 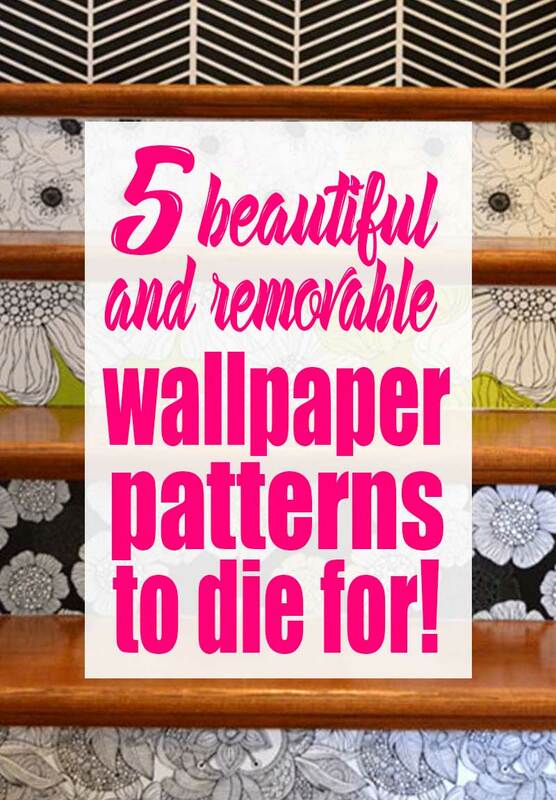 This is not your grandmother’s wallpaper. Custom wallpaper and wall decals from Spoonflower allow you to personalize any room in the house in a way that’s never been possible until now. Removable wallpaper is perfect for students and apartment dwellers, and custom wall decals aren’t just for walls, but can be used to decorate everything from refrigerators to laptops. Printed using high-quality, PVC-free materials and inks. If you don’t want to design your own, shop from thousands of unique designs created by the community of independent artists. They have modern wallpaper and abstract wallpaper… some of the best wallpaper I have ever seen. What are you trying out that’s new? Hmmmmm???? P.S. Like to read more decorating posts? Visit my Decorating Gallery! Holy mother of pearl! Of got to get me some of that! I have about 3 trillion ideas going through my head! Isn’t it freaking awesome! I can’t WAIT!!! What I remember about wallpaper and my mom are that she bought a couple rolls one time and they were never hung. I even remember we moved and they came along with us and never were hung. My husband would of liked that idea, he’s with Morgan so your secret is safe with me. But removeable???? I’ve gotta check that out! Ha! I’ve never ever wanted to hang wallpaper, but I can’t wait to see what this is like! oooh awesome! i can’t wait to see what you do! i LOVE that last one!!! and yes, we had the country style wallpaper everywhere- you know the one where teeny dots made up designs? like that….. and we had it in coordinating colors all over the house. I KNEW you’d like that one… I thought of you when I picked that out! I LOVE them. I can’t wait to get them and get this project done!!! Now Gwen, I’m going to keep this in the back of my mind for the next vintage camper I re-do. I also love the idea of putting it on the back wall of that cabinet I mentioned redoing before. I love the fact that it’s removable! That vintage camper is totally cool. I could never imagine undertaking a project like that. And I’ll def post about how well the removeableness is!!! I am sure people are going to miss spraying on DIF and scoring the walls….I swore never to wallpaper after we purchased a 1950’s ranch with lots of wall paper – rented a steamer to get it off. In 40 years what will that generation be rolling their eyes at that we do? Mod Podge & burlap!? Hahaha… Oh, yes! I”m sure all the burlap and mod podge will be discussed around the dinner table, circa 2049!!! Growing up (back in the olden days) we had wall paper in the wood-stove heated kitchen. Turquoise (not teal, or aqua…TURQUOISE) with copper kitchen things on it. Yes. It was the 50’s and life on the ranch was grand. Turquoise and copper……hmmm…wonder if I can find me some of that now…………………………………. 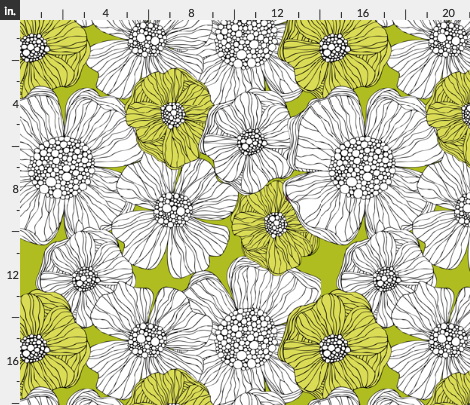 Fun stuff at Spoonflower! I have a few fabrics- the patterns are original and so fun to browsw thru. I know you have a crazy scheme up your sleeve. Oh, how are the fabrics? 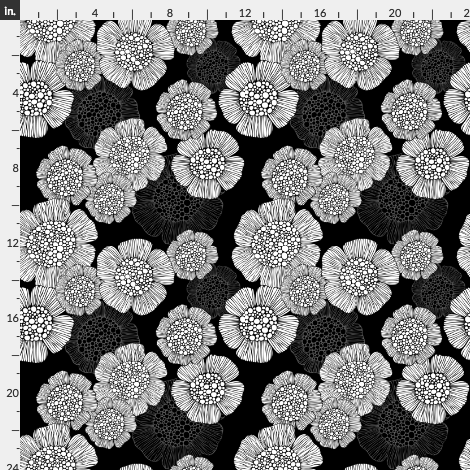 I LOVE the patterns and the fact that you can make you own! I might try that if I get realllllllly bold! Oh Oh OH! I love them all…how fun and spunky! Aren’t they though? I was totally looking for spunky paper, yo. I can’t wait to see if it really is removeable! Would that not be too incredible???? 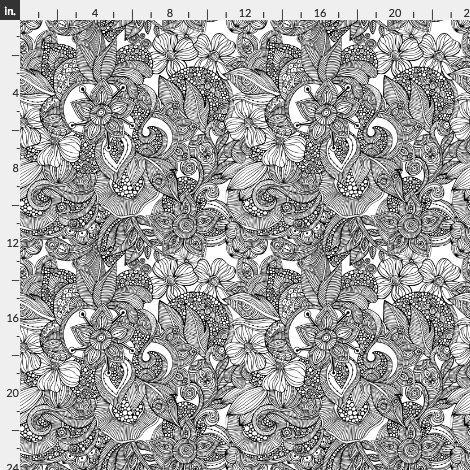 Can’t wait to see what you have up your sleeve for this wallpaper…love every one! Thank you, Ann! I’ve been putting off this project for ever… it’s time to get it done! Oh, the possibilities, right? 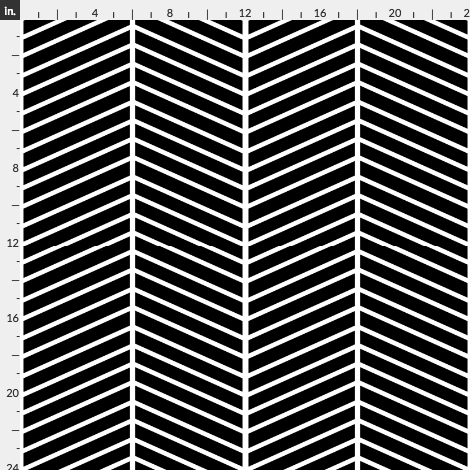 They have soooo many patterns and you can even upload your own… how cool is that??? Pinch me! I must be still asleep! Gorgeous and removable. Must have soon! Hahaha!!! I can’t wait to get it! I really do hope it’s removeable as they say… Just think of all the things that you could do with it knowing it could easily be replaced! Aren’t they, though? I can’t wait to get them! So does the wallpaper just peel off? And I love the graphic bold prints! Can’t wait to see what your project is! You go girl! I hope to heck so! I can’t wait to get them and test them out! Oooo. I have an infatuation with wall paper. I love some of the ones you choose! I want the one with the poppies! I was wondering if you’d read this post! And, don’t I know it! AND they’ll have this blog for proof! Oh, boy!! !